What a beautiful photo! We hope you all had a wonderful Father's Day weekend! What a sweet photo! Hope he's doing well and had a great Father's Day! It's true! You don't have to have a human to be a parent. 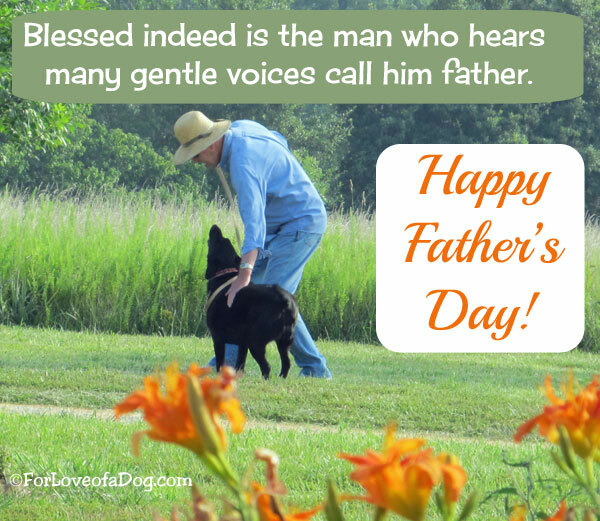 :-) Happy Father's Day to the Dog Daddy!